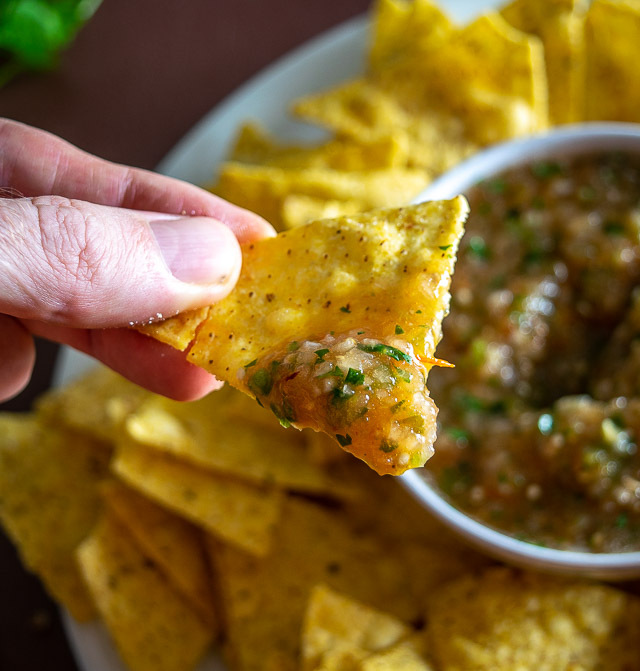 You may have noticed that most Salsa recipes on this site use either tomatoes or tomatillos as the base ingredient. But what happens if you use both? Is that even legal?! Luckily it is and the result is a completely unique Salsa that just might become one of your new favorites. You’ll get a delicious blend of roasted sweetness from the tomatoes and some lip-smacking tartness from the tomatillos. Perfect! I also like making this Salsa super sharp so I added in some extra jalapeno, but you can dial back on the heat if you want. 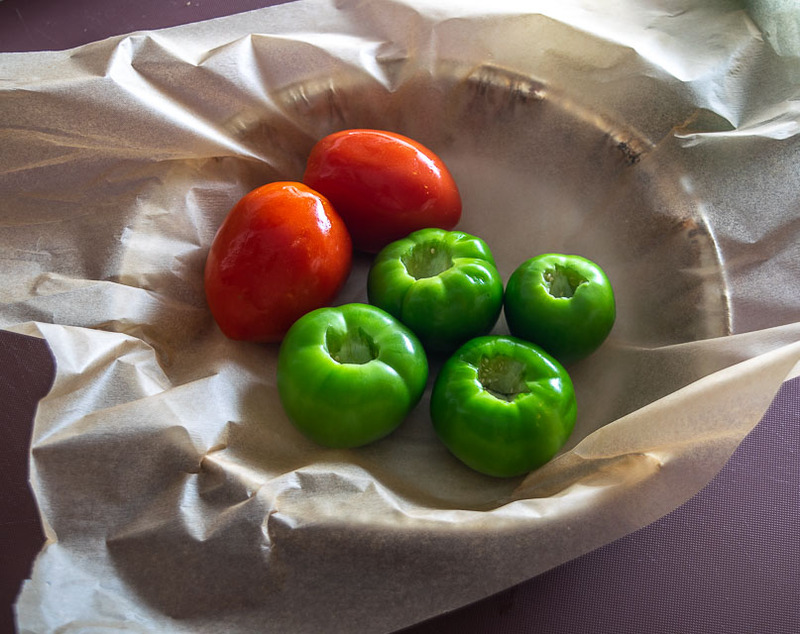 Using a half jalapeno (or serrano) is a good starting point if you want a milder version. Yes, technically the tomatillos need less time than that to roast, but I usually just leave them in there knowing that all the juices in the roasting pan will go into the blender. Here’s what they looked like after 20 minutes or so. And give it a whirl. I usually leave it a bit chunky. And now the important part — taste testing! I like this Salsa best when it’s light, vibrant and sharp — so I usually give it a squeeze of lime to brighten it up. It’s rare for me to finish Salsa with a squeeze of lime but I think this one really benefits from it. I also added a pinch of salt, and yes, a bit more jalapeno (about 2 total). 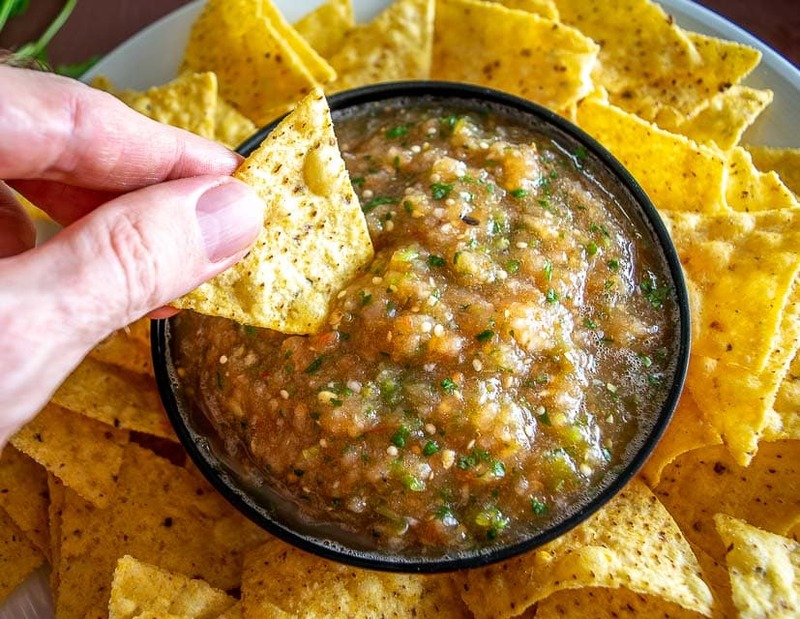 Combining red and green will give your Salsa a somewhat muddy appearance, but it’s the inside that counts and this one has real personality! And even though I’m a huge fan of serving Salsas warm, I actually like this one best when it’s chilled. It’ll be warm when it’s right out of the blender, and it’s definitely still tasty at that point, but when it chills in the fridge for a bit I like it even better. The light, vibrant flavor seems to pop a little more when served cool. So how to use this delightful Salsa? And yes, it even does well sitting humbly next to a bowl of chips. 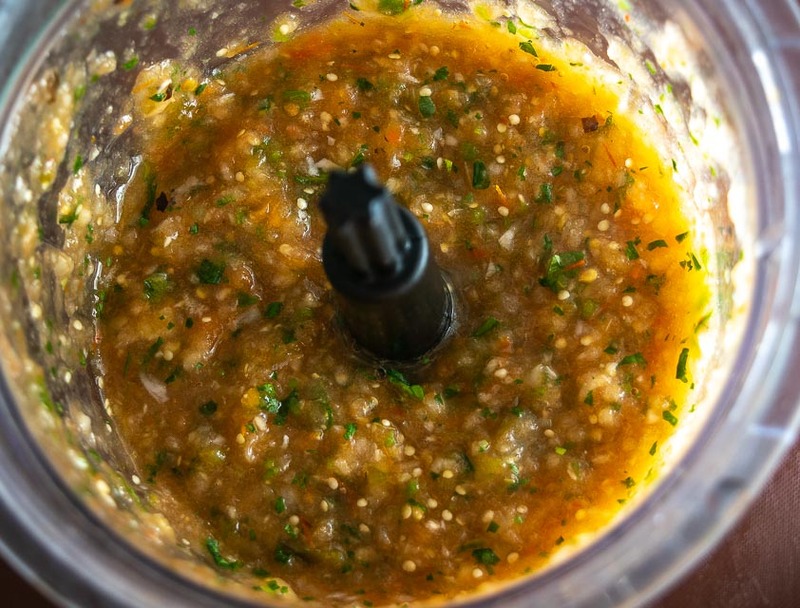 Okay let me know if you have any questions about this Roasted Tomato and Tomatillo Salsa. 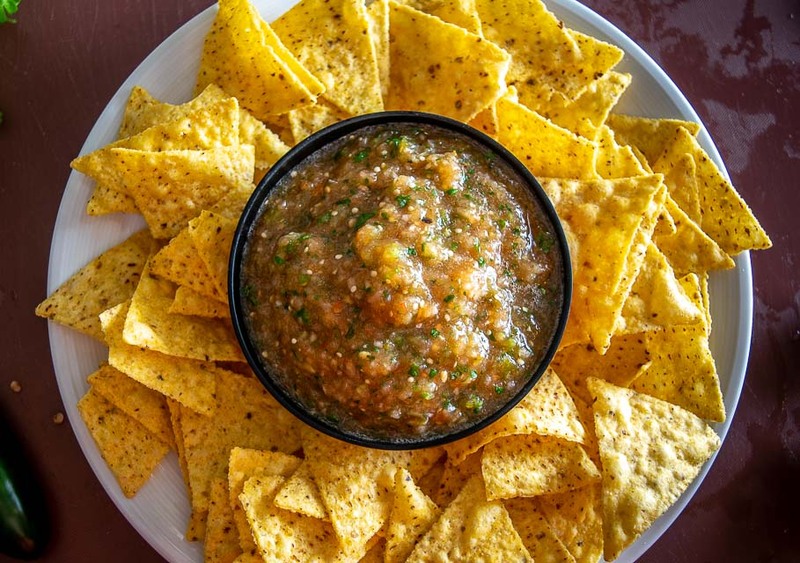 It’s a great combo to keep in mind for your next batch of homemade Salsa. And don’t forget to test it out both warm and chilled to see which one you like best. 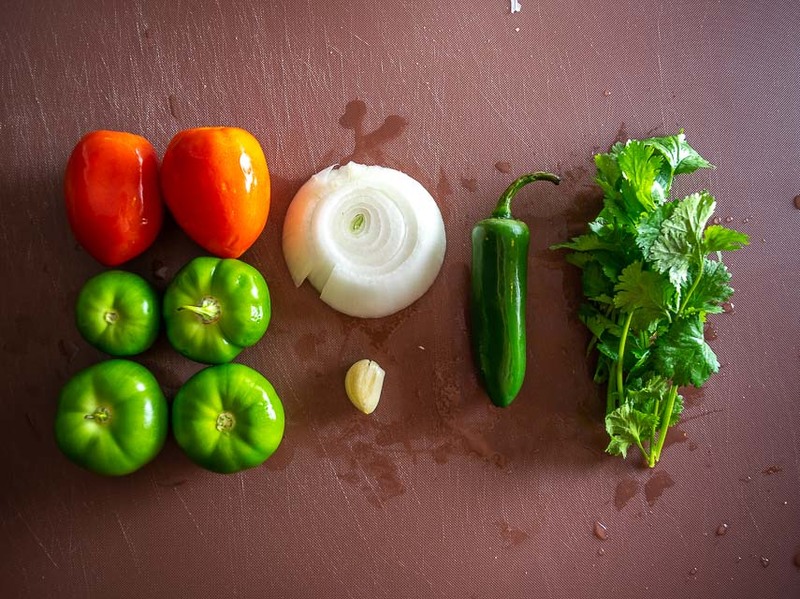 This is a delicious Salsa to add to your repertoire! 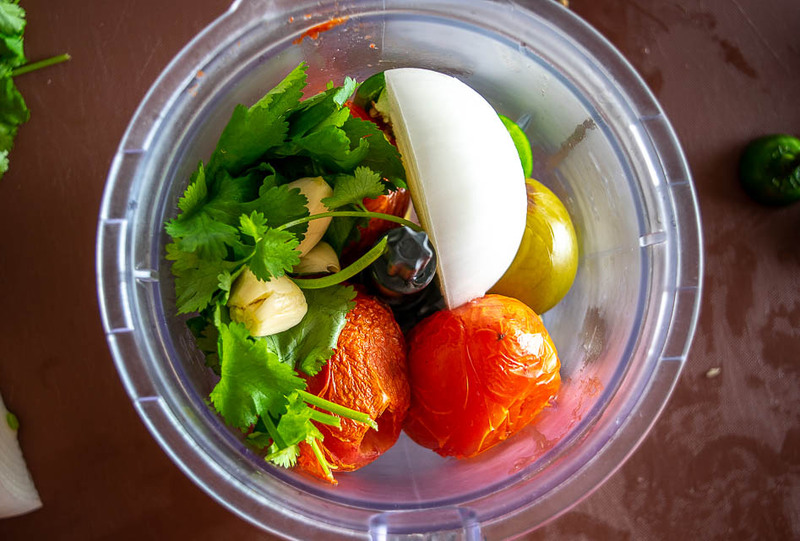 It uses both tomatoes and tomatillos to create a completely unique flavor. Yum!! Husk the tomatillos and then rinse both the tomatoes and tomatillos. I usually remove the stems from both of them knowing that any juices leftover in the roasting pan will go into the blender. 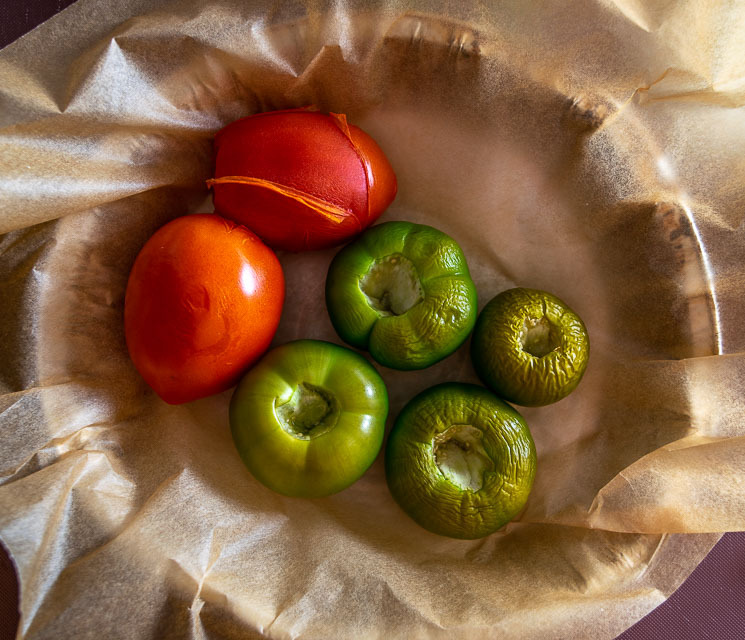 Roast the tomatoes and tomatillos in a 400F oven for 20-25 minutes. Take a taste for seasoning. I added another 1/2 jalapeno, a pinch of salt, and a generous squeeze of lime. Serve immediately or chill in the fridge for a bit before serving. Store leftovers in an airtight container in the fridge where they will keep for a few days. 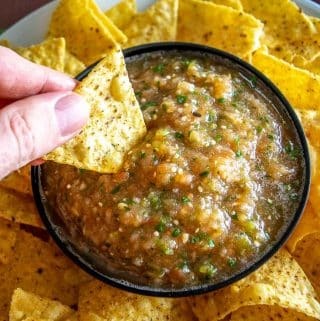 Even though I'm a huge fan of serving Salsas warm, I actually like this Tomato and Tomatillo Salsa best when it's served cold. I usually twist off and discard the bottom, thicker portion of the cilantro stems, but use the upper stems that hold the leaves together. 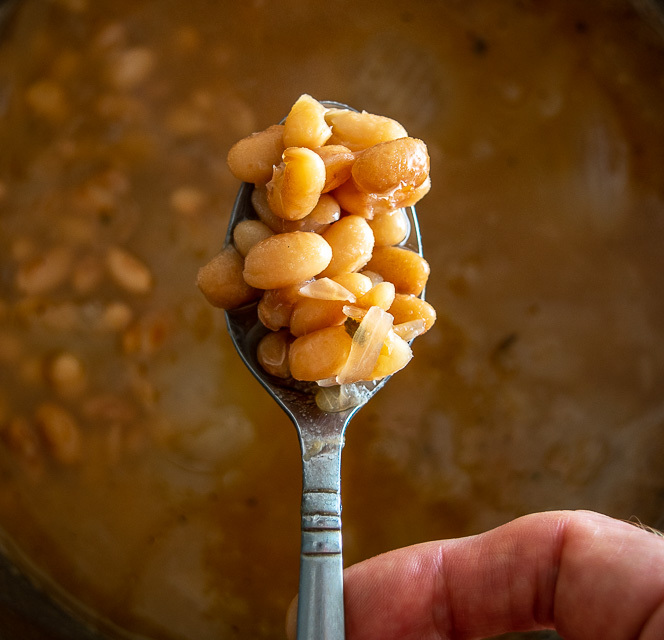 Our latest recipe is a batch of Mayocoba Pot Beans. As always, this looks awesome! I think I’ll peel the tomatoes ad tomatillos after the cone out of the oven. Maybe put them in a plastic bag to steam first. Thanks for all you do for us foodies. Hi Patrick! I am so excited about all your recipes! The ones I have made have been absolutely delicious and authentic! You have simplified the process and I appreciate it! Will be making this recipe tonight! Thanks much Carlota, hope you enjoy it! This was delicious, though mine was just a tad bit tart, so I added a bit of sugar to tone it down. Also added in extra chopped onion and jalapeno after I blended it to give it a little more texture and crunch. It was even better the next day. I will definitely be making this again! Love your recipes! Great recipe Patrick, made it on Friday for dinner (and brunch) on the weekend. With beef tacos on Saturday and Mexican styled scrambled eggs for brunch on Sunday. Thanks Douglas! Yeah sounds good with some beef tacos. Cheers.